Here's the thing about motivation, it is fleeting, unpredictable, and unreliable. Some days motivation is at it's peak, so is your productivity. Other days motivation is nonexistent, so are your accomplishments for the day. Motivation can make you feel powerful, confident, and focused on your ability to be successful. However, when you feel as though you have none, everything feels as though it is impossible, it becomes difficult to even think about the things on your to-do list. We all have our rough patches where things become too much to think about or do. I recently went through about a month of little to no motivation. It had been dwindling for several months but just barely hit its peak two days ago when I started crying twice in one day for absolutely no reason. I think its okay to say I had a messy breakdown. Fortunately enough, it was exactly what I needed. I was forced to look at my life, reassess my goals and purpose, evaluate my happiness and ability to do things that make me happy, and write new goals and interventions for the rest of 2018. The thing about motivation is, only you can get it back. Every person in the world could line up and tell you how amazing you are, list all of your accomplishments, and share a plan with you about how you will be productive and successful. All of this means nothing if it does not come from within you. Take things into your own hands! 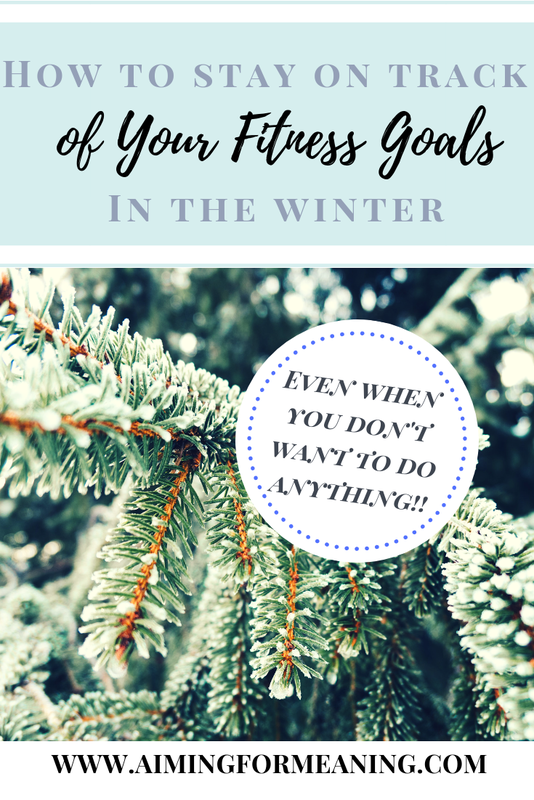 Luckily for you, I go through these bouts maybe a couple times a year and have found a few things that work to get me on track and hopefully they will do the same for you. It can be easy at times to forget why we want to accomplish the goals we set. We need to be in tune with our why if we want to maintain motivation. It may be beneficial to sit down and write your why. Look at it, remember it, and put it somewhere you will be reminded of it daily. If your why does not line up with the goals you have set for yourself, it may be a good time to refocus on exactly what it is you want to focus your energy into. It is absolutely okay to change things up if needed. Once your why is clear, it may be beneficial to write down goals and objectives, your plan of action. If your plan of action is not clear, it may become confusing as to what you're working towards. This is usually my favorite step. I love to write lists. I find it extremely helpful to see on paper my goals. It also helps me figure out exactly what my goals need to be. If you ever start to fill your motivation start to dwindle, pull out your list of goals and overall objective. The list will serve as a good reminder of everything you want to accomplish and what you need to do in order to get there. It provides a clear structure that you'll be able to follow and refer back to to keep yourself motivated. I cannot stress this enough! Surrounding yourself with positivity is such a vital component to remaining motivated. Surround yourself with people who are successful or working towards it, positive, happy. They will motivate you to continue to be successful. If you surround yourself with people who complain about everything, make excuses, and stay home all day binging on Netflix (as much as we all love to do this every once in awhile), you will eventually begin to dwindle down to their level. My parents always told me, who you surround yourself with says more about you than it does about them; this could not be more true! Don't forget to continue to do things that allow you to feel revitalized, happy, and joyful. These things will always be the most important component to success and motivation. If you're not taking care of yourself, how will you ever be able to focus your positive energy into the things you love wholeheartedly? Go for a hike through the forest, take a road trip or vacation, spend your Sunday at the spa, anything that brings happiness. Perfectionism is impossible, not to mention boring. If you hold yourself to these unrealistic expectations you will becomes stressed, unproductive, and unmotivated. It's a given. We all would love to be perfect at everything we do but it is impossible. No one is perfect. We all make mistakes. Don't be so hard on yourself. Set realistic goals for yourself and know that perfection is not necessary. It can be so easy to focus on the things we don't do or are unable to do. However, every single day, there are things you accomplish. Sometimes getting up from bed and getting to work are accomplishments in themselves! Instead of thinking about all of the things you did not get to today, focus on the things you did do. Give yourself some credit and reward yourself for these accomplishments. Treat yourself to a pedicure, a fancy dinner, some ice cream, anything that will make you feel special for a moment. Hopefully you are already feeling a little more motivated or have developed a plan for how to regain your strength and motivation. The fact that you are reading this shows you're interested in improving yourself. That is an impressive feat in itself! Don't forget to check out my list of 20 Ways to Get Motivated Again for ideas!